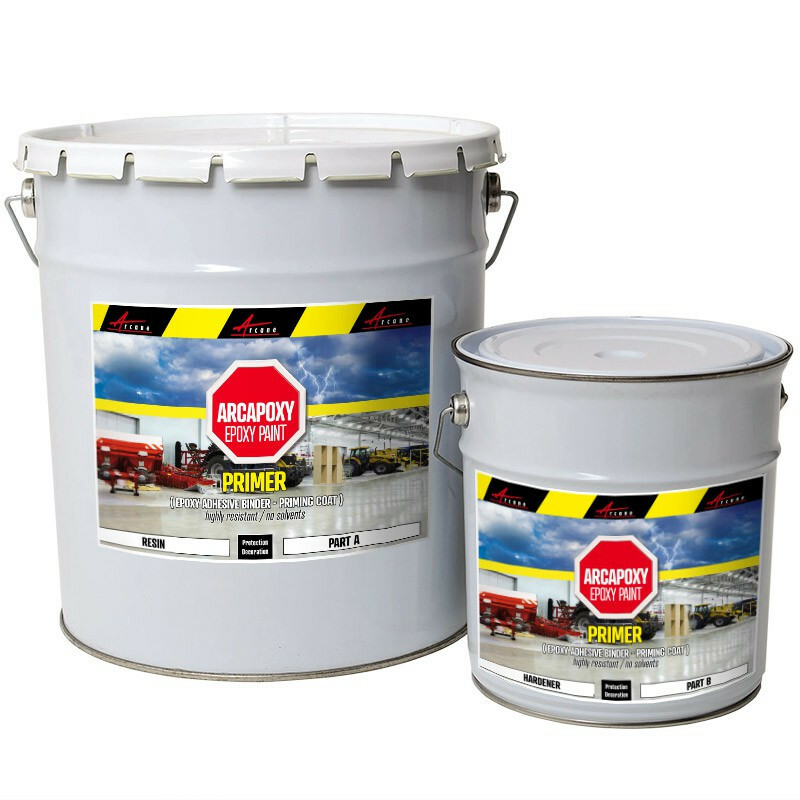 Arcapoxy Epoxy Primer is a low viscosity primer which penetrates the substrate and improves its mechanical properties and adhesion. Moisture insensitive and resistant to chemicals, Arcapoxy Epoxy Primer seals open joints with no thickness and hardens without shrinkage. 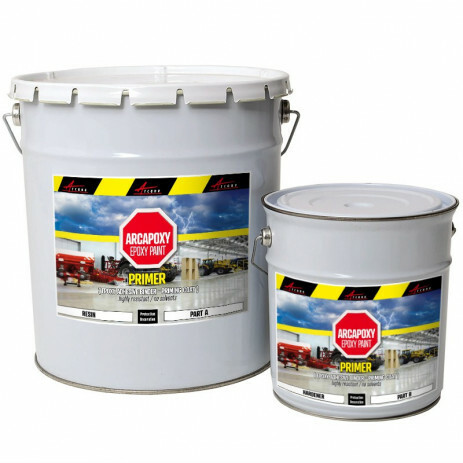 Arcapoxy Epoxy Primer, a low viscosity primer, penetrates the substrate improving its mechanical properties and adhesion. 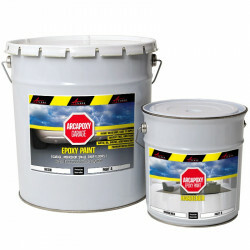 Can be used on its own to seal cracks and joints and restore the monolithic nature of concrete. will restore the integrity of the monolithic nature of concrete when injected into cracks. will bind old cement to new cement and improve adhesion of cement mortar on concrete, iron or wood surfaces when used to seal joints. 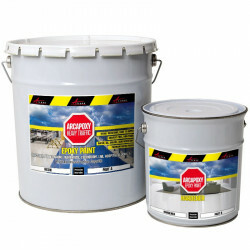 is also used as protective coating on concrete against chemical aggression. 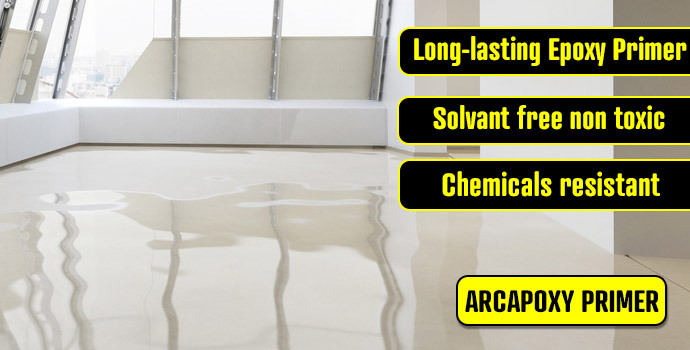 As a manufacturer we always recommend on weak, dusty, damp, concrete floor our primer: ARCAPOXY PRIMER. Kindly note that certain distributors, resellers, professionals applicators do not recommend, or apply the primer at all which could, on certain case, cause problem adhesion and reduce the epoxy paint lifetime. Mix the totality of the two components (or a party of it, depending of your need, proportion will have to be respected: 1 weight of hardener for 2.23 weight of resin meaning : 31% of hardener for 69% of resin) during 2 to 3 mn with the help of electric or pneumatic mixer at low rotational speed. Concrete floors: Support has to be clean, no laitance, free of grease and loose particle. Be sure there is no elevation of fluid. Remove water and dust with an oil free blast immediately prior to application You will may have to remove other foreign matter by sandblasting, mechanical abrasion or acid etching. For newest concrete floors wait 28 days before preparing the surface. Neutralize The alkalinity of the substrate and rinse thoroughly leaving no soap or cleaning material suds or residue on the surface. Vacuum the surface once dry. METAL:use a chisel-style scraper and a hand-held wire brush or treat by power wire-brushing or disk sanding to remove any loose rust and peeling paint. Wash with methylated spirit or alcohol, let dry and passivate the surface. TILES AND SYNTHETIC SURFACES : (polyester, epoxy, etc. ): Lightly sand the surface to create a micro-roughness. 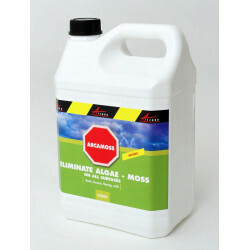 Remove any dust and loose particles. Apply a thin coat with a brush, roller or airless spray. Construction joints and all concrete work must be applied while this thin coat is still sticky to touch (at 20) C after 6 to 8 hours maximum. Apply EPOXY PAINT as topcoat. Store in dry, cool and frost free conditions. Shelf life is 12 months. Promptly clean hand and all tools with water. Store in dry, cool and frost free conditions. overexposure or allergic reactions to epoxy resins can result in irritated skin or respiratory problems. Wear protective gloves and glasses. Avoid skin and eye contact.